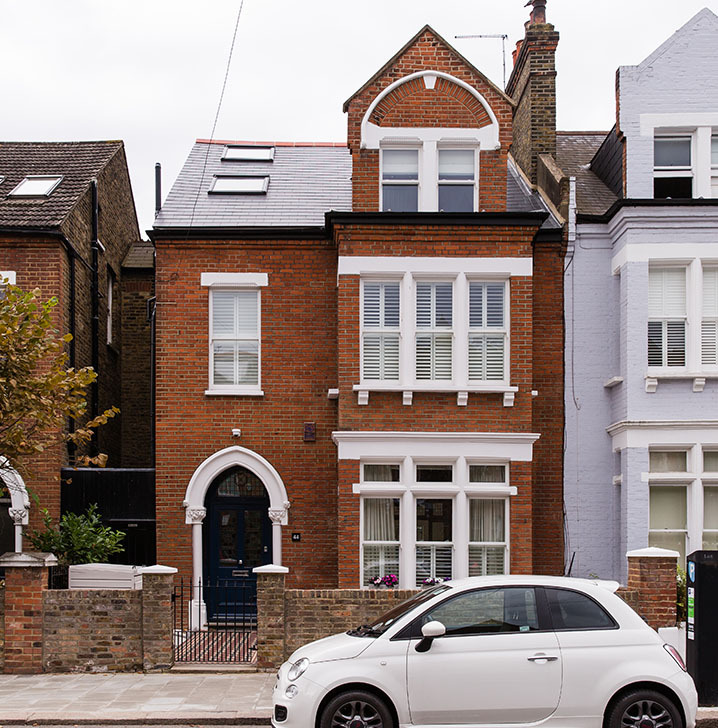 Being a part of Mr and Mrs Services’ renovation project in Clapham, London was an absolute pleasure. 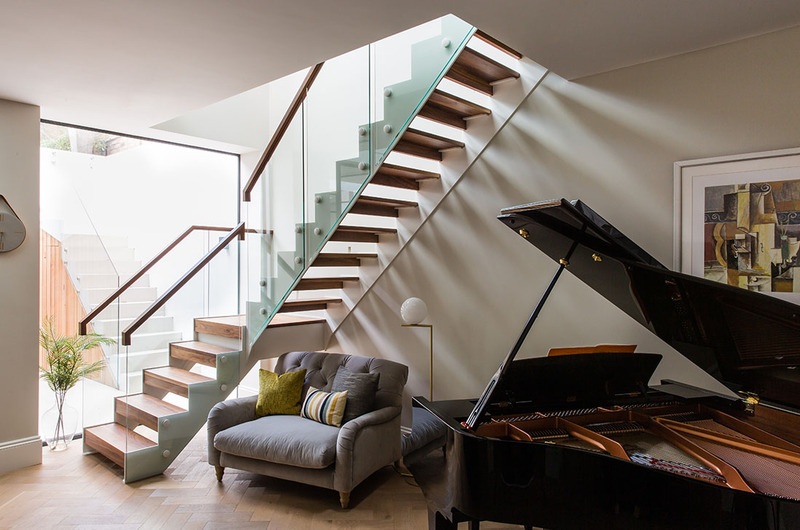 Working alongside competent builders and architects to create the perfect space is what we do best. 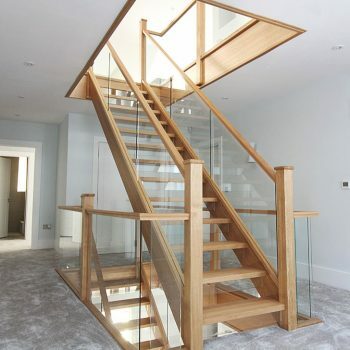 We started this process before the building work commenced to allow maximum space throughout the property, whilst not compromising on a flawless, luxury staircase. 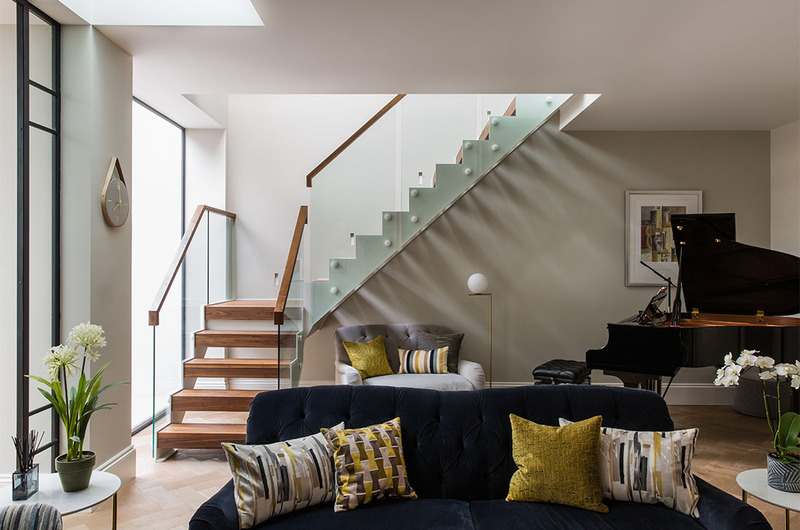 In this Mews House renovation, the project was creating a huge open plan basement living space to allow the Service family to grow. 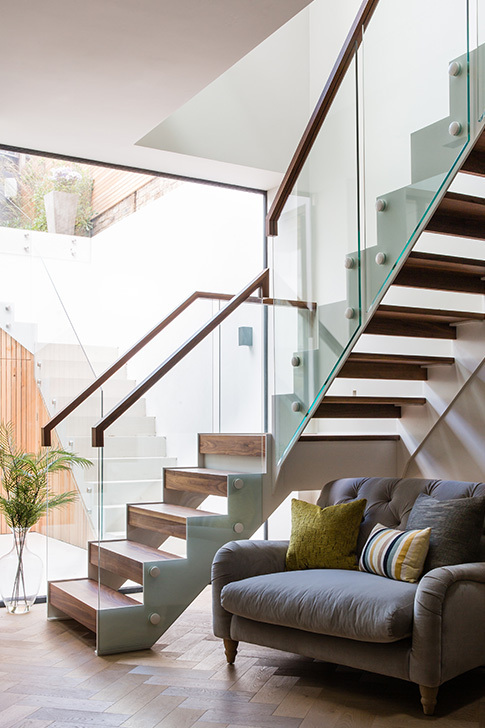 With a completely glazed exterior, we wanted the light to be at its maximum in the basement. 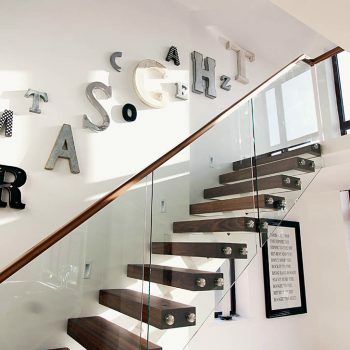 So we started by designing an open plan, glass staircase to suit the interior designer’s mood boards. 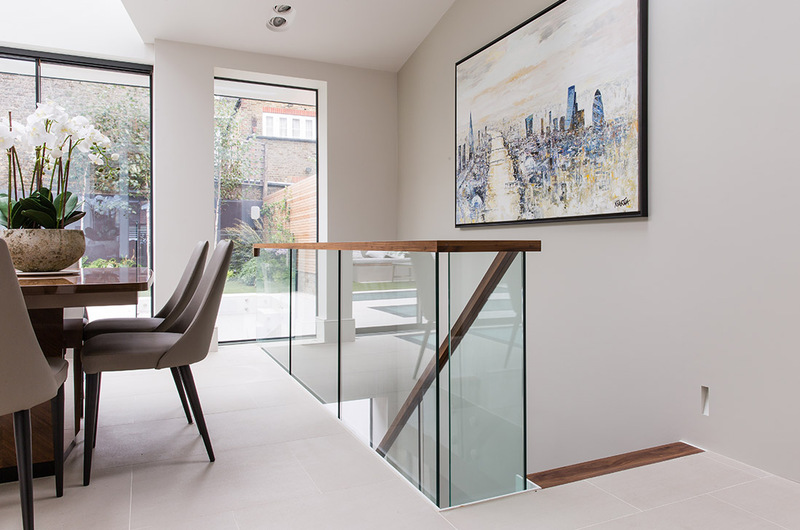 Ensuring the styling vision, was consistent throughout the property. 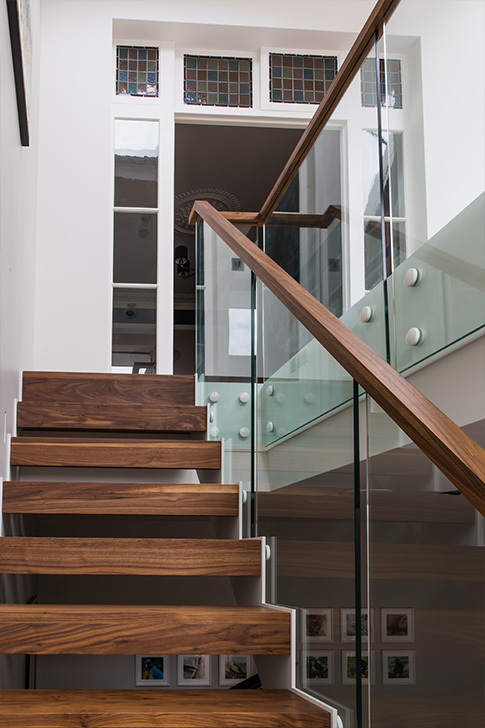 The luxury of solid American Black Walnut, is such a rarity in this country but we were able to create a one of a kind design to create the focal point of the new living space. 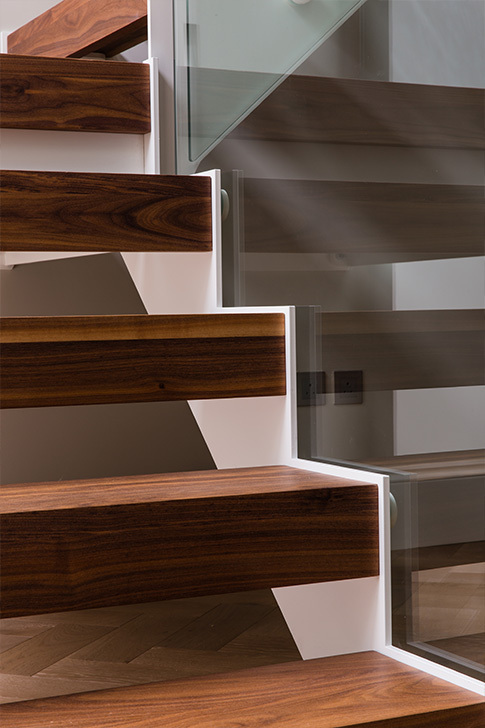 We chose to close the gap between the treads with a small section of walnut that gives the illusion of a solid thick tread, but gives the lightweight finish required to allow light to travel further. 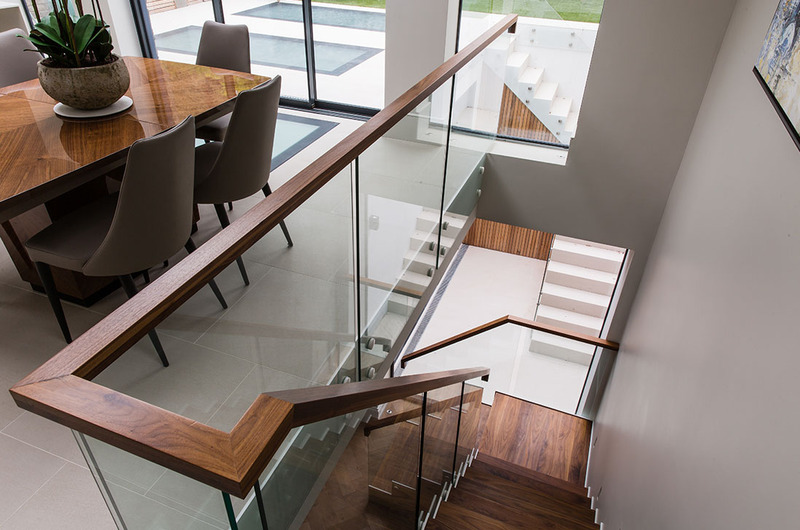 Meaning we can fully comply with UK building regulations without any form of compromise. 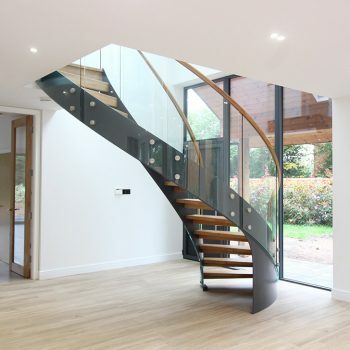 Steel structure staircases like this one that we call ‘Trim’ can be fixed into position in a variety of ways, when we survey we offer a variety of solutions that will make the staircase worthy of our 10-year guarantee, ensuring that once the staircase is in position… it will not move again. 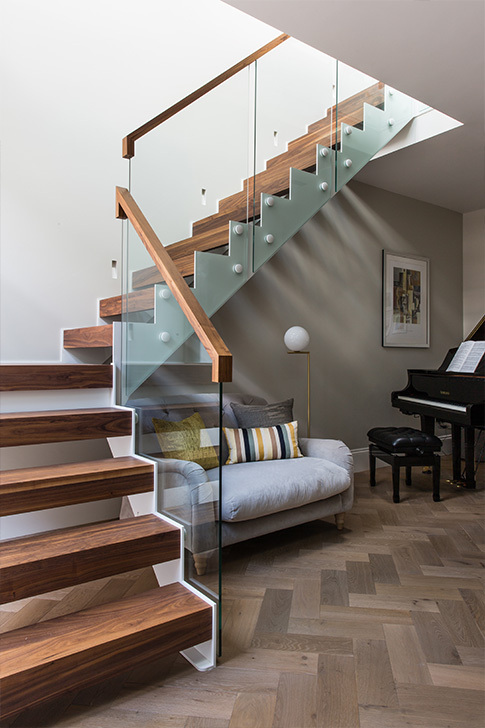 This also allows us to create floating details throughout the design, like the small landing at the bottom of the staircase, most would require a structural support here… not with our bespoke design techniques. A true luxury finish.